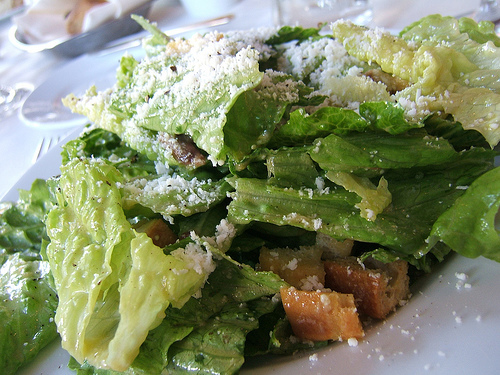 If you love salad, this is not the country for you. 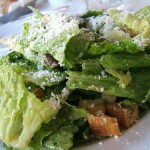 The addition of salad to the meal is generally received with a low level of enthusiasm, at least initially, by the local set. Then, once my Argentine friends taste the green stuff, they invariably start raving…ooohs and aaahs abound. What is the recipe? What is in this salad? This salad is great!?! What does pass for dressing in Argentina? I’m afraid it’s often a bottle of corn oil and a bottle of white or cider vinegar. If that’s not bad enough, the other dressing option is essentially a packet of mayonnaise. Good Lord, it can’t be a surprise that so few like to eat vegetables here! Photo by Flickr user WordRidden used under a Creative Commons license. This entry was posted on Sunday, May 31st, 2009 at 5:41 pm. You can follow any responses to this entry through the RSS 2.0 feed. You can leave a response, or trackback from your own site.